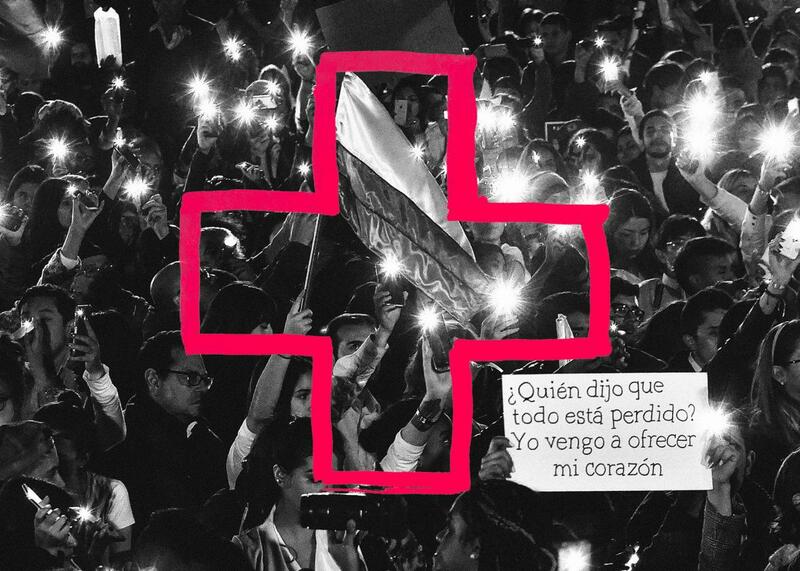 Why equal access to health care may be the key to lasting peace in Colombia. People light their cellphones during a march for peace in Bogotá on Oct. 20, 2016. Photo illustration by Slate. Photo by Guillermo Legaria/AFP/Getty Images.